There’s no doubt that technology is changing faster than ever before. At the heart of that in the business setting is marketing, which is becoming a driving force behind putting that new technology into action to reach out to customers and make sure a company is communicating in the right way. One of the biggest changes in the tech and marketing world is artificial intelligence, which will play a major role in the coming years. 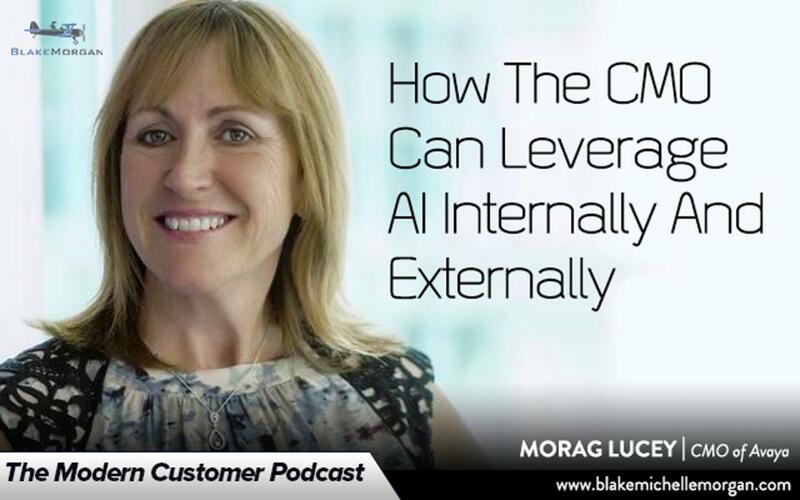 According to Morag Lucey, the CMO of Avaya, a modern CMO needs to understand all the intricacies of modern technology, including AI. That’s because new technology changes the way marketers do their jobs—in order to truly be effective, they must really understand which technology is the most relevant and how it works. AI wasn’t even on the radar of many marketers just a few years ago, and now it is one of the fastest-growing technologies. Staying on top of things is vital. The new generation in marketing means that the paradigm has shifted and now marketing is responsible for a larger portion of the pipeline. Technology requires companies to continually transform—what Avaya started out doing 100 years ago is now obsolete, meaning the company has had to transform and pivot many times since it was founded. Marketers are key in helping their company transform and in understanding how to change a company’s identity through technology. Marketing really comes down to communication and making sure you are interacting with customers in the best way. As technology becomes more integral, the CMO, CIO, customer experience officer, and others all play a part in ensuring that the customer experience is seamless. Much of this will happen through machine learning and taking advantage of robots and AI to communicate with customers quickly and efficiently. One of Morag’s biggest concerns with changing technology is how it affects the skillsets of employees. The entire discipline of marketing is changing, meaning it is more important than ever to have strong talent in an organization. Investing in employees to ensure they have the skills they need for the future is absolutely critical. Artificial intelligence will play a major role in marketing, which means having employees who can understand the process and visualize how to combine human interaction with machine learning will be huge. As for the future of marketing, Morag predicts that marketing will be the top revenue generator for companies within five years, meaning that now is the time to get a firm grasp on technology and how it can transform a company. AI and other technology is transforming how companies operate and market themselves. Leveraging that technology can make all the difference in a successful company that avoids getting disrupted.